‘Is it the world that’s busy, or my mind?’ The world moves fast, but that doesn’t mean we have to. 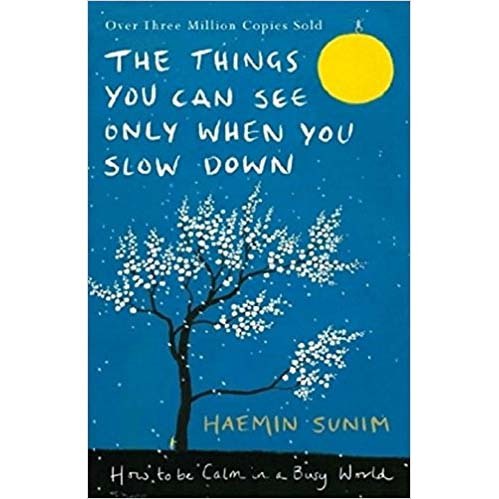 In this timely guide to mindfulness, Haemin Sunim, a Buddhist monk born in Korea and educated in the United States, offers advice on everything from handling setbacks to dealing with rest and relationships, in a beautiful book combining his teachings with calming full-colour illustrations. Haemin Sunim’s simple messages – which he first wrote when he responded to requests for advice on social media – speak directly to the anxieties that have become part of modern life and remind us of the strength and joy that come from slowing down.